Solomon Warriors have reclaimed top spot of the Telekom S-League after a narrow 1-0 win against title challengers Henderson Eels at Lawson Tama Stadium in this weekend’s big game. The defending champions entered the match in second place a point behind Eels. Knowing very well both teams have three matches to play in the league, a win for either side would put them in on the top spot. Warriors now leading with 26 points two clear of Eels who are still on 24 points heading into the last two matches this season. The race to qualify for the OFC Champions League next year is also at stake. Solomon Warriors, Henderson Eels and KOSSA are all still in the race and Western United could not be ruled out of a possible second place finish. Winning the league comes with a reward of hosting the OFC Champions League Group D at home. Earlier in the day Malaita Kingz continue their impressive run with a 4-0 win over bottom side FC Guadalcanal. 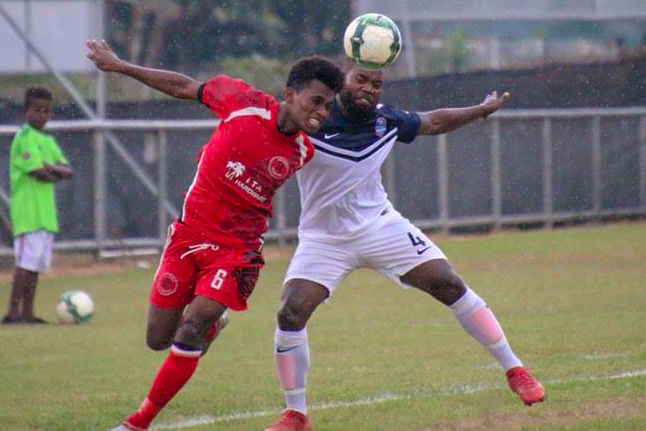 The win saw Kingz moved from sixth to fourth on the table with 17 points above Western United, 16 points and Real Kakamora, 15 points who are both yet to play on Sunday.